We are now able to take bookings for the whole of our facility from full families, naturist or none naturist. 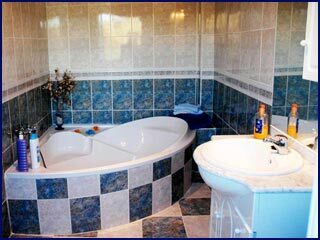 You would have total and exclusive use of all our usual catering and leisure activities. You and your family can relax in the most pleasurable, private and safe surroundings knowing that your every requirement is catered for. Please contact us for more details. We offer full board all inclusive of: continental breakfast, light lunch, three course evening meal with locally produced soft drinks, wines, beers and spirits as well as tea and coffee. Whilst we naturally specialise in a 'Mediterranean' diet, given a little notice more or less anything can be supplied. Special needs diets and vegetarians are more than welcome. We will offer a 'short choice' menu in the morning so guests can look forward to their favorite main course freshly prepared for their evening meal. Please pre-advise if you have any very special dietary requirements. Book early with your budget airline and take advantage of our 'any day' arrival/departure. Please try to arrive before 9 pm any day. Linen and towels will be changed regularly, pool side towels can be supplied. Smokers are welcome but we do request you smoke outdoors not in the bedrooms or bathrooms. All prices are per room with two people sharing. We cannot accept children, unless the whole villa is booked for one family, there are no reductions for single people occupying one room. We strongly advise that in view of travel disruptions strikes and volcanic ash problems you make sure you have sufficient insurance cover. Spanish medical service is very good BUT you have to pay for any treatment, and accidents can happen. We advise tht you take out private health insurance for should we leave the EU your E111 may no longer be valid. Under Spanish Law you will be required to produce your passport upon arrival. Should you cancel your holiday for any reason we cannot refund any payments made. Cancellations within 4 weeks of your holiday still make you liable for the full amount UNLESS we are able to rebook your room. Should we have to cancel your holiday for any reason, we will of course refund any monies paid in full. Minimum stay is 3 days, long weekends subject to availability. Day visitors more than welcome, please phone for prices.